At the HiveXchange we work closely with a national network of suppliers and agents to provide buyers with consistent supply of a diverse range of produce. With suppliers from all over Australia and the capacity to sell into more markets, the HiveXchange makes it easy to source quality at the right price. GRAPES (CALIFORNIA) – Quality is good with early pricing sitting quite high. Overall volume is expected to be down this season, so we’re expecting the market to stay pretty consistent. MANGOES – It may a good 6 weeks earlier than usual but mangoes have started. Last week, we were seeing reasonable volume in the markets, pricing around $65 a tray. HASS AVOCADOS – markets are well supplied with quality fruit. Central QLD season is starting to slow down, we will soon swing to WA fruit. We’re also hearing rumblings of an early NZ season, with stock expected to start arriving on market in the next four weeks. Against all predictions, market prices continue to drop back. BLUEBERRIES (QLD/NSW) – starting to hit volume which is bringing back prices. Quality is really lifting now as well, so great value product. 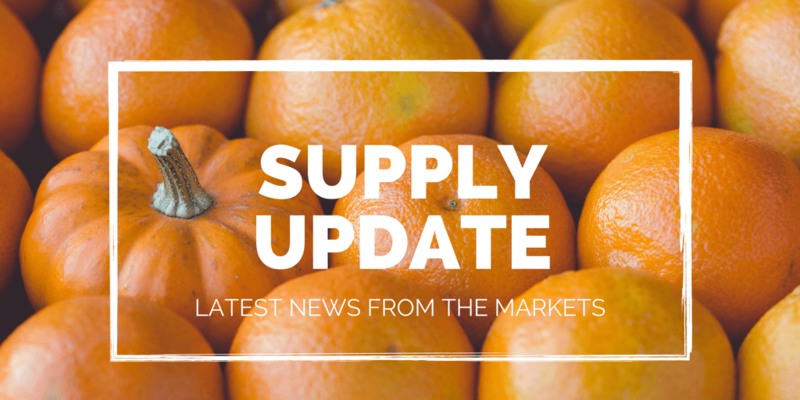 STRAWBERRIES (QLD/WA) – as we hit the middle of the season the quality is good, volume is high and the prices have pulled back thanks to warmer weather. WA season has started. Can’t see what you’re looking for? Make a product request and have quality produce come to you!